Hi there, my darlings! 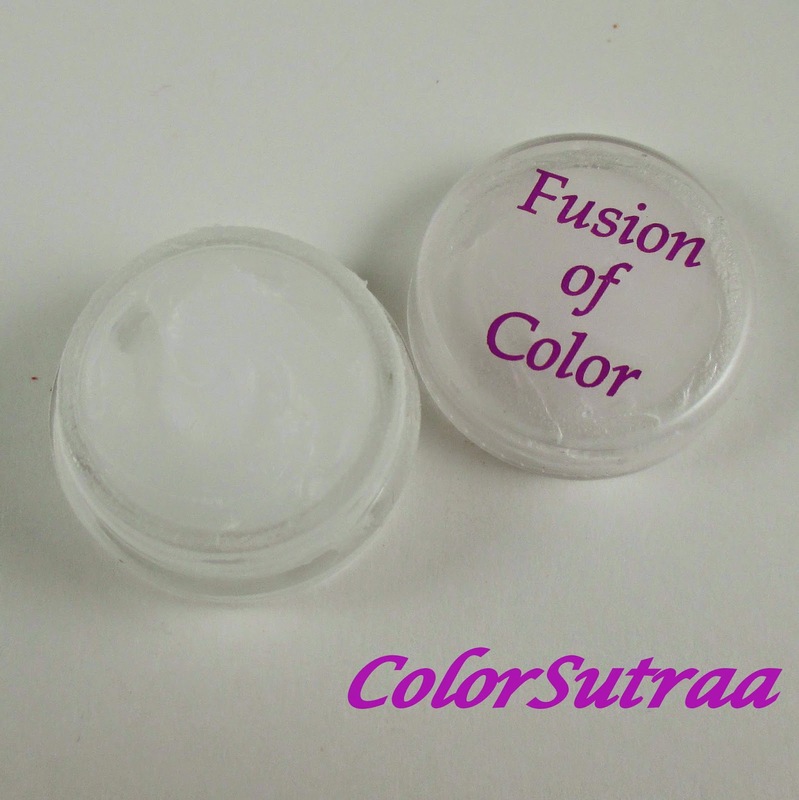 Today, I have a review of several products from Fusion of Color that I received a few months back...yup, right before my India trip! Most of these products I was able to pick out myself and thus chose the shades that I find flatter my complexion the most. 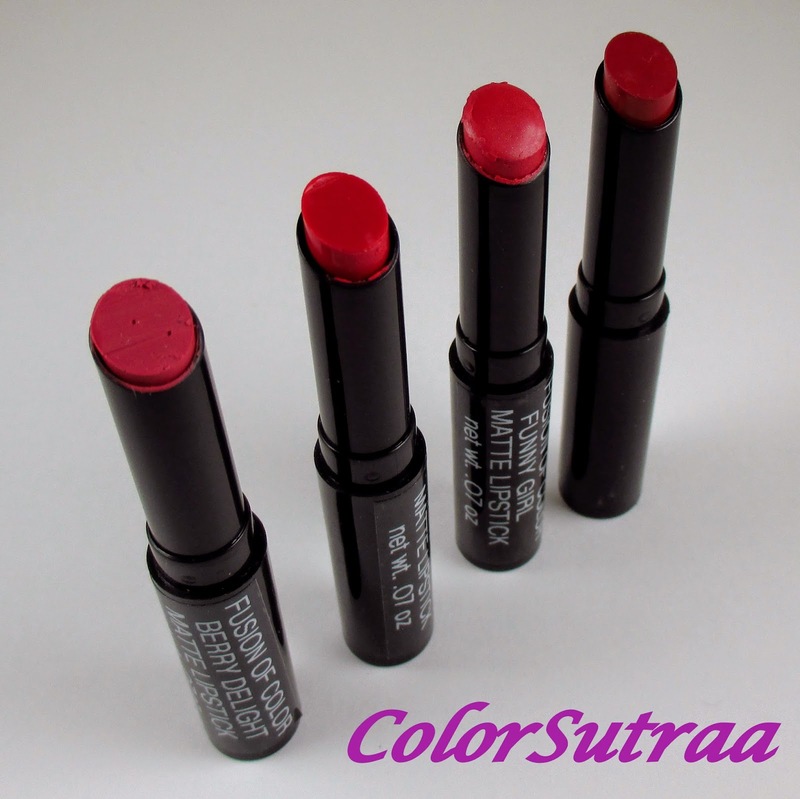 As it so happens, these same shades are great for this time of year--a bold red lip is perfect for the holidays! So, let's take a look at what I picked, shall we? From left to right, Berry Delight, Candi Apple, Funny Girl and Hip. 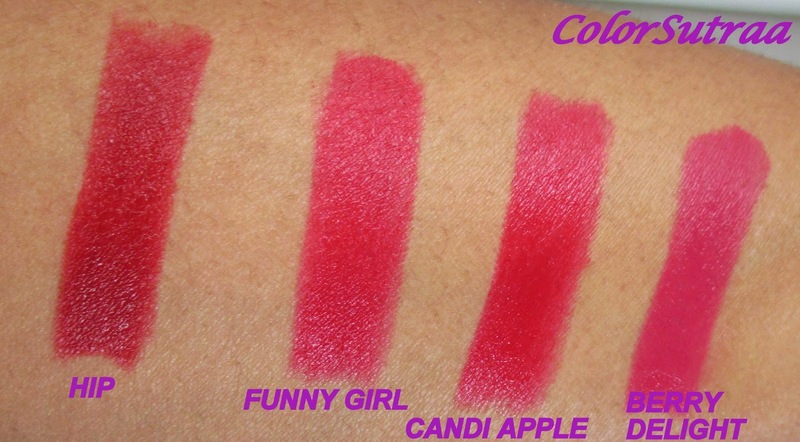 Being a red lover, I admit I chose shades that were similar to each other but I love them all though Berry Delight and Funny Girl were my favorites! 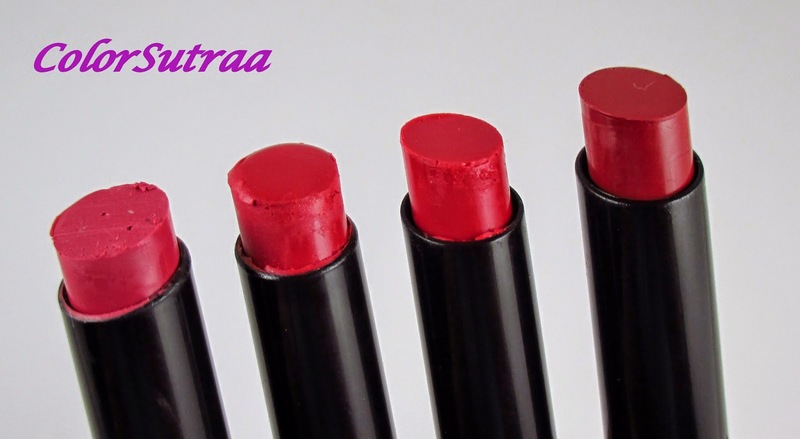 The lipsticks are just the right consistency of matte--not too drying on the lips but super pigmented. Stays put with no bleeding for a good 6 hours! 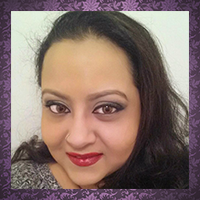 Next, I chose a lipliner to match my berry obsession--I chose the shade Berry. It was an INSTANT favorite with me and I carry this in my makeup bag in my purse now at all times! 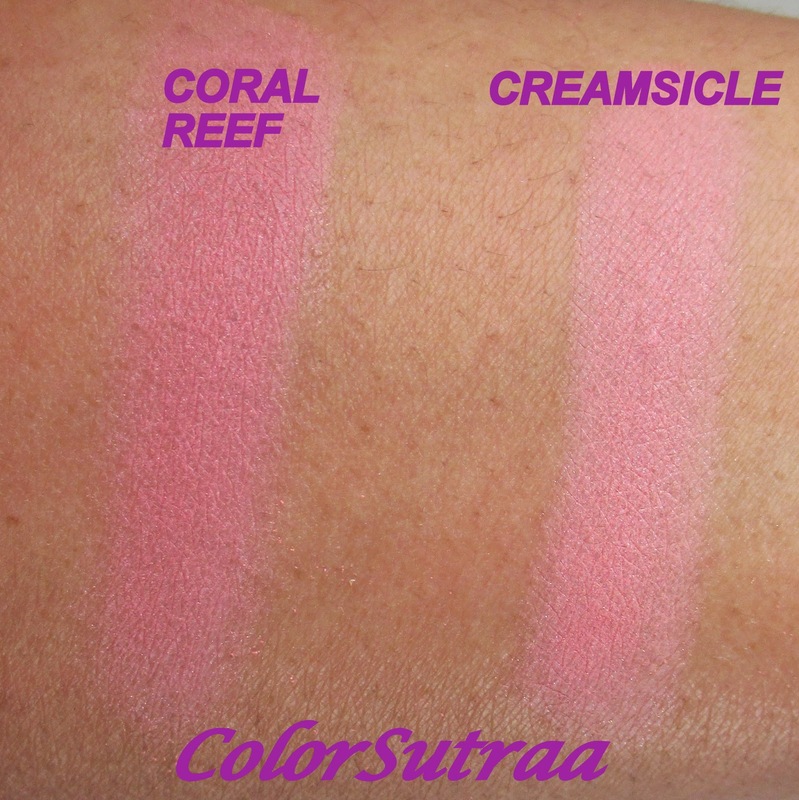 Out of the two, Coral Reef was definitely a winner for me! It had just the right hint of warm coral to really brighten up my complexion. 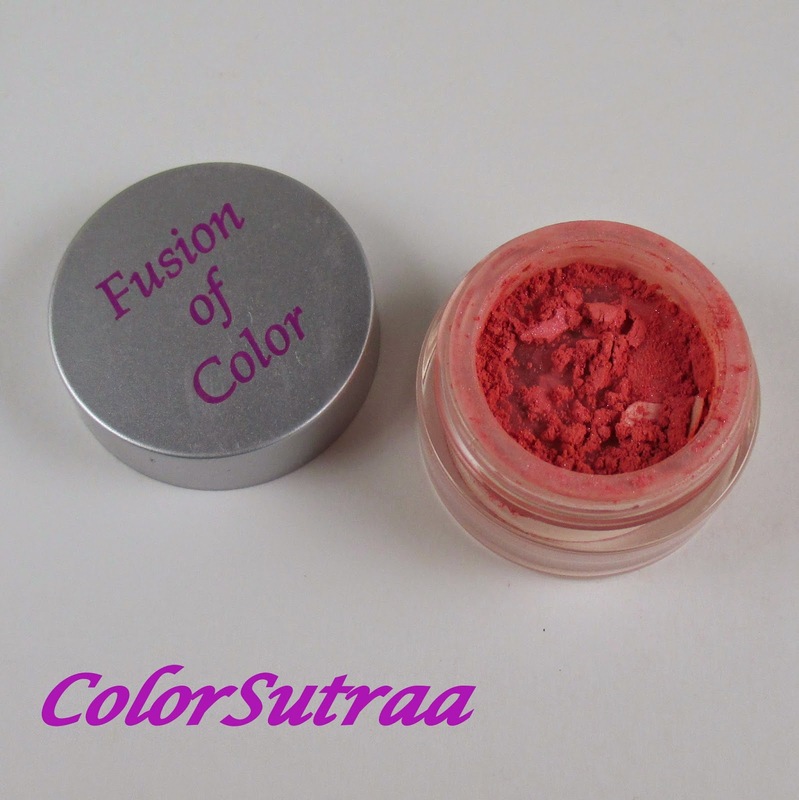 The blushes are loose pigments so a little goes a long way and the color payoff is great! Mix a bit with your favorite bronzer for a sun-kissed glow, even in the Winter! 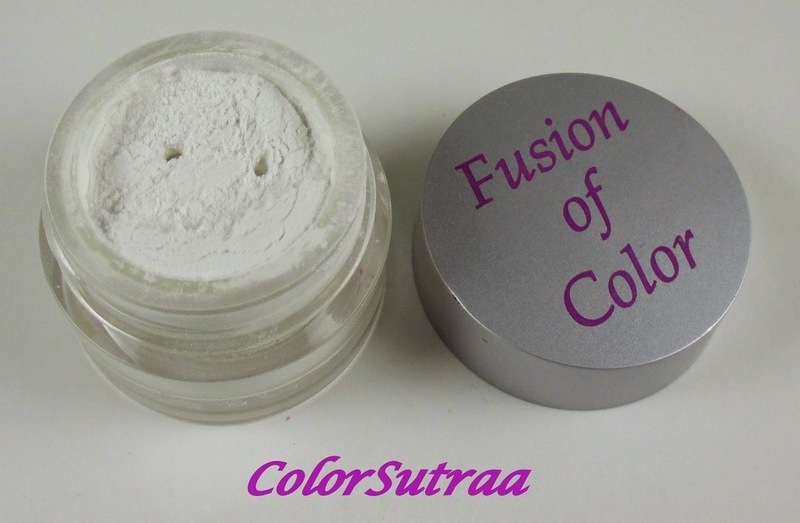 Finally, Kathy of Fusion of Color sent me her Aura-Lusion Diamond Finish powder and a primer--both were clear. The primer was more the texture and feel of Vaseline--a bit too thick for my liking. But if you tend to have dry eyelids, this product would be great for you! The newest product for making your face look flawless, this give you a subtle change in the look of your skin. You but only better. This one has no color to it, you can use it before foundation, after foundation as a finishing powder, add to the foundation or finishing powders you do use. This is like translucent powder and would be great for the summer when the least bit of makeup makes my face turn into a frying pan! Not sure if you can see it, but the primer is too the left and the Aura-Lusion finish is to the right. Which of these products intrigued you? I'd love to hear your opinions in the comments section below! 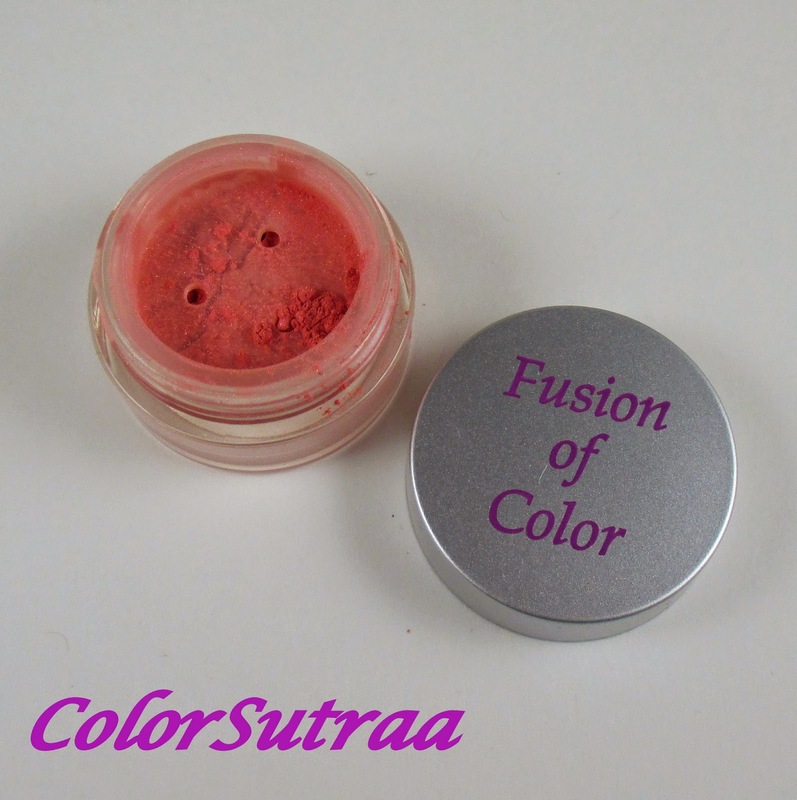 Want a chance to win some gorgeous products from Fusion of Color? Find me on Instagram HERE to find out how!